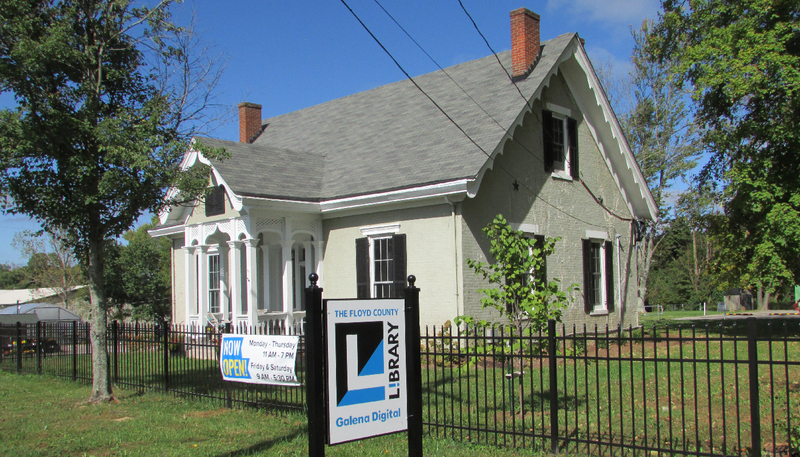 Floyd County Library restored a historic house in the small community of Galena to become its first all-digital branch. 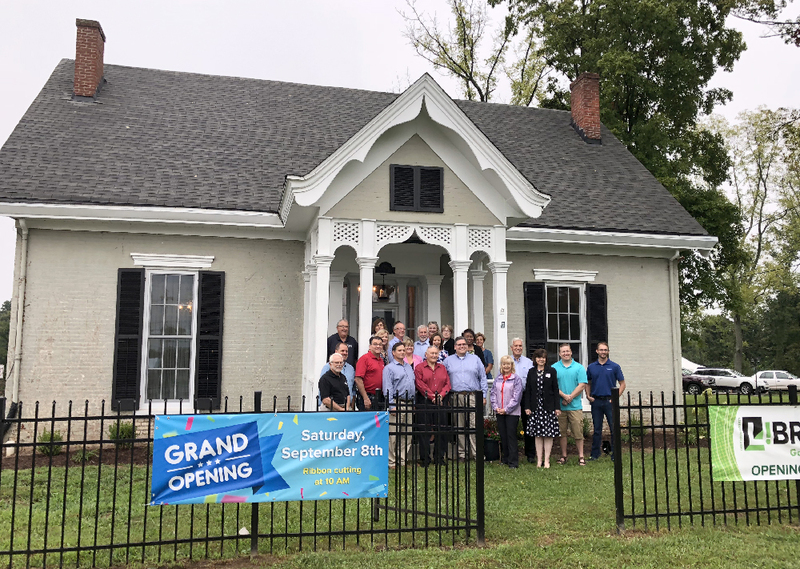 A ribbon-cutting and grand opening in early September marked a new beginning for both the Floyd County Library and a historic house in the heart of the small community of Galena. Not much is known about the early history of the Gothic Revival-style house on the old Vincennes Turnpike (US Highway 150). 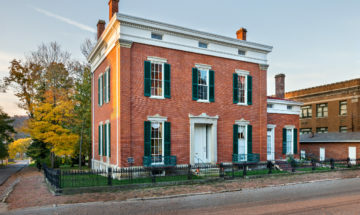 Some local sources refer to it as the Belle Schilings House, constructed around 1864, and report that it may have served as a post office at one time. The home had been vacant for several years when the owners, the Oakes family, donated the property to the Floyd County Commissioners in 2011. The county used a portion of the two-acre property for a recycling center but had no plans for the house. 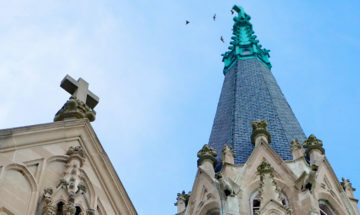 Meanwhile, library leaders were looking into how to remain relevant in the digital age, and how to better serve patrons in areas outside of downtown New Albany. About two years ago, county officials realized they had the perfect solution. 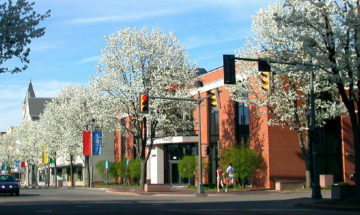 They approached the library, proposing the house as a new branch. Although the idea – and the abandoned, overgrown house – was “a little scary” at the outset, the potential was unmistakable. Fast forward two years, and the house is now Galena Digital Library, completely rehabbed and updated with the latest technology. High-tech equipment juxtaposes with the library’s historic architectural features – wood floors, tall ceilings, original woodwork and transom windows, an original fireplace. The space also boasts high-speed internet, with access to online courses and databases, and laptops and e-readers for patrons to check out e-books, digital music and movies. The centerpiece of the new digital branch library is a maker space, which includes a 3-D printer, a laser etcher, a vinyl cutter, and other high-tech tools available for patrons’ use.